At a time when a global consensus on human rights standards seems to be emerging, this rich study steps back to explore how the idea of human rights is actually employed by activists and human rights professionals. 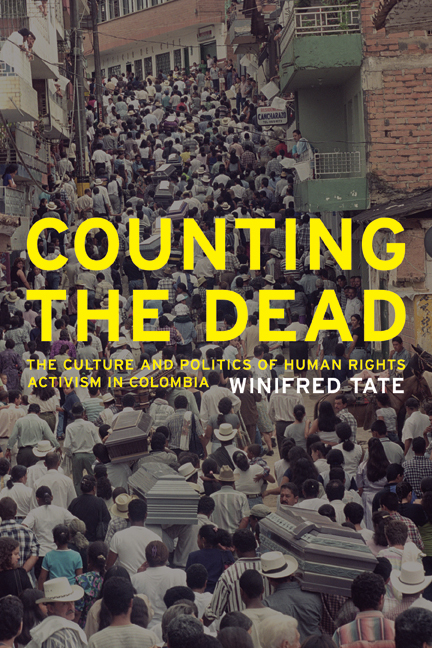 Winifred Tate, an anthropologist and activist with extensive experience in Colombia, finds that radically different ideas about human rights have shaped three groups of human rights professionals working there--nongovernmental activists, state representatives, and military officers. Drawing from the life stories of high-profile activists, pioneering interviews with military officials, and research at the United Nations Human Rights Commission in Geneva, Counting the Dead underscores the importance of analyzing and understanding human rights discourses, methodologies, and institutions within the context of broader cultural and political debates. Winifred Tate is currently a Post Doctoral Fellow at the Watson Institute for International Studes at Brown University and will become an Assistant Professor of Anthropology at Colby College in September 2008.